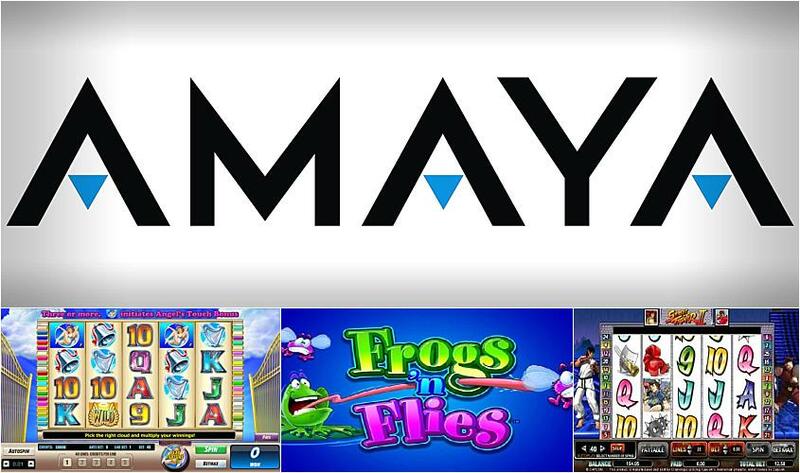 Amaya is a leading online gaming developer, originally established in Canada in the late 1990s. The company now has a range of locations across America and Europe and has become one of the world’s largest online gaming companies, as a result of taking over Full Tilt Poker and PokerStars in 2014. Along with these valuable businesses, Amaya owns various other interactive entertainment companies which, as a whole, comprise more than 100 million registered customers worldwide. Subsequently, Amaya is a recognized brand in countries around the world. Click here to read more. Though an online slots giant, Amaya also dabbles in other technology-based products such as casino, sports betting (or sportsbook, as it is known to many) and daily fantasy sports. Its wide range of products stems from the management team’s vision of providing both gaming and entertainment to wider audiences. With successes in all of its ventures, Amaya is a leading name in the wider online entertainment market. Amaya offers an extensive list of slots games, live dealer games and a suite of casino games, such as traditional table games like Blackjack and Roulette. In terms of its exquisite slots games, Amaya offers an array of themes from licensed games to fantasy games. For example, with exclusive rights to all DC Comic characters (The Hulk, Green Lantern, Superman, Wonder Woman, and so on), players are sure to find some familiar faces when looking through Amaya’s slot game directory. One constant, however, is the superior quality of its graphics. Whether classic or modern in style, the animations are on point and definitely raise the bar for competitors in the industry. The majority of Amaya’s slot games feature between 3 and 5 reels and have 1 to 100 paylines. They offer a range of exciting features like Free Spins and Bonus rounds which provide fantastic opportunities for players to cash in some great prizes. Amaya’s slots are executed on an efficient platform that has all of the modern advancements you would expect from the 21st century gaming market, including autoplay, manageable betting selections, 20+ languages and a range of currencies to pick from. Among Amaya’s long list of releases are just under 20 online slots, a dozen table games, approximately 10 video poker games and half a dozen miscellaneous technology-based products. Amaya’s casino and online slots games are available to play 24/7 via a number of online casinos. They can be played on most desktops, as well as a range of mobile devices, including tablets and smartphones. To be specific, Amaya’s products are available to play on Windows, Mac and Linux operating systems as well as iPhone, Android, and Windows mobile devices and tablets. Amaya is a member of the Interactive Gaming Council and the Remote Gaming Association. Not only is Amaya dedicated to responsible gambling, its website proudly displays the eCOGRA badge and certification of their random number generator. This reassures players that the company is employing industry standard methods to maintain fairness across all games.